Officially know as Vehicle Excise Duty (VED), but more communally referred to as vehicle tax, car tax and road tax. The tax must be paid for most type of vehicles which are used or parked on public roads in the United Kingdom. A vehicle that is not in use may have a Statuary Off Road Notification (SORN) providing the vehicle has been taxed since 31st January 1998. The Driver and Vehicle Licensing Agency (DVLA) in Great Britain are responsible for leveeing vehicle road tax. Road tax was introduced in the 1888 budget; however the system as we know it today was introduced in 1920. The levee was designed to be paid into the special road fund that would be spent on building and maintaining roads. After 1937 it was treated as general taxation, as the amount raised from the road tax was not sufficient to fund the construction of roads. Renew your road tax annually, from the 1st October 2014; it was no longer a requirement to display a road tax disk on your vehicle window screen. As modern systems including number plate recognitions will be sufficient to monitor the compliance with road tax. Car tax is based on either engine size or CO2 emissions. But varies depending on when cars were registered in the UK. For cars registered since March 2001, car road tax rates are based on thirteen car tax bandings (A - M), each banding is dependent on the CO2 emissions achieved on the official manufacturers test. For cars registered prior to 2001 the banding is determined by engine capacity alone. From March 2001, vans registered are at a flat rate, except for low emission vans. After March 2001 the definitions were by letters A to M, where A is for vehicles with CO2 up to 100g/km. B to L are 101 to 255g/km and so on. Increments are between 10 to 15g/km. The system has been established to feature a different rate of tax for some vehicle during the first year and a form of incentive. As well as other benefits, low emission cars that have the lowest CO2 are encouraged and are free to road tax. Other bandings are as much as £505 per year. The plan is to discourage these high tax band vehicles, to help reduce CO2 emissions and prevent pollution. First year tax, bands A to D benefit from zero fee, but then it increased up to a maximum of £1,100. Vehicles that can benefit from free road tax can be found here, these vehicles also benefit from the low emission car grant of £5,000. All cars with CO2 up to 100g/km are free. The light goods tax class classifies vehicles registered prior to 2001. These are based on the engine capacity in cubic centimeters, generally they fall into two categories £145 for up to 1549 cc and £230 for over 1549 cc. Find road tax banding 2015-2016 tables here, VED tax tables for 2016-2017 here. Vehicles are classed as vans or 'light goods vehicles' if they do not exceed 3,500 GVW (Gross Vehicle Weight). Since 2001 van tax has not been linked to CO2 and a simple rate of £225 is applied per annum. Low emission vans will benefit from a lower rate and pay a reduced rate of £140. Electric vans are tax band A and thus exempt from paying road tax, a list of these vans can be seen on the incentive page. Vans are classified as N1 or N2 in the V5 log book; cars are M1 and mini buses M2. Before 2001 vans were again taxed based on the engine capacity at the rates as follows are £145 for engines up to 1549cc and £230 for engines of 1550cc or larger. Find the van tax bandings. Cars that are not classified as a pool car, that are given or used by an employee are classed as a Benefit In Kind (BIK) for tax purposes and the beneficiary is liable to pay a tax through PAYE or through a tax return. As many companies benefit for operating fleet vehicles, these can account for over half all new vehicles registered in the UK. Company car Benefit-in-Kind (BIK) tax is payable on the use of a company car which is based on a car's official (P11D) value, and its CO2 emissions and fuel type. See company car BIK rates for your calculations. Includes BIK rates from 2015 - 2020. 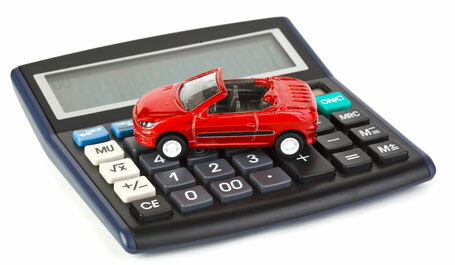 Use the Company car tax calculator to see how much you would need to pay. What are the benefits of tax when buying a company car? To encourage the uptake of low emission vehicles, the capital allowance which is the proportion of the purchase price of a car purchased through a company that can be offset against tax increases. The first year allowance allows 100% of the purchase price to be claimed. The 3 types of pool are the: main pool with a rate of 18%, special rate pool with a rate of 8%, single asset pools with a rate of 18% or 8% depending on the item. More information is available on the Government website.